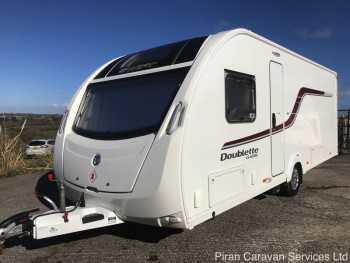 Superb 2015 single axle 4 berth with transverse fixed bed and large end bathroom layout. Comes with mover, air awning and many extras. Independently serviced and damp checked prior to sale. 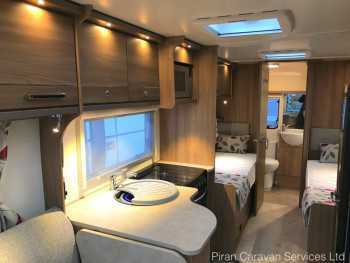 Budget 2 berth caravan with large lounge and end washroom. No service or damp check at this price. in good condition for age and in recent use for holidays. 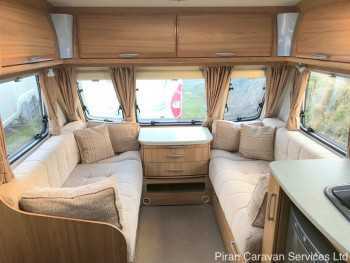 Very well-cared-for single axle 4 berth with spacious fixed bed layout. Comes with extras including awning and remote motor mover. Will be valeted, serviced and damp checked. 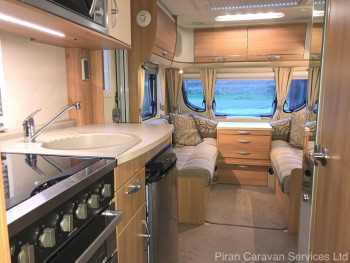 A beautiful 'special edition' 4 berth single axle caravan, with super transverse fixed bed and end washroom layout. Full manufacturer warranty. 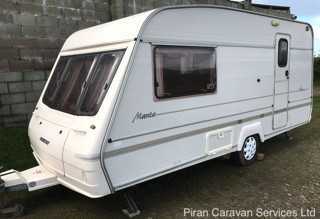 Comes with Kampa air awning, PowrTouch mover and more. 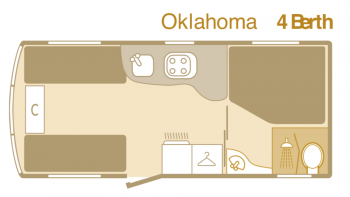 A high spec, luxury 2 berth caravan with a spacious end bathroom layout. Comes with lots of extras and has been valeted, serviced and damp-checked. Ready to go! 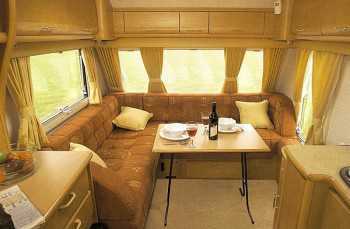 A super 2 berth tourer with a spacious u-shaped lounge and end bathroom. In great condition and will be valeted, serviced and damp-checked. 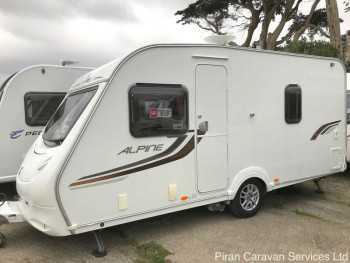 Comes with Truma motor mover, awning and more. 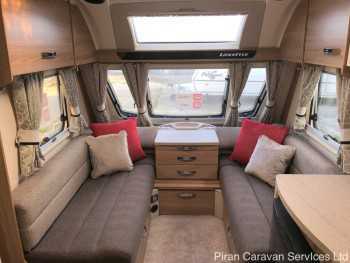 Fantastic value light-weight tourer with a fixed bed and end washroom layout on a single axle. Will be valeted, serviced and damp checked. Comes with 3 month warranty. Excellent condition light-weight tourer with a twin single bed layout on a single axle. Will be valeted, serviced and damp checked and comes with 3 month warranty!! 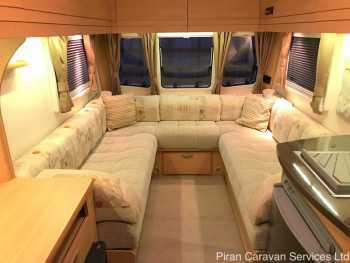 An attractive, well-equipped 2003 4 berth touring caravan with side dinette and large end-washroom. Fully serviced and damp checked. A perfect starter family tourer! 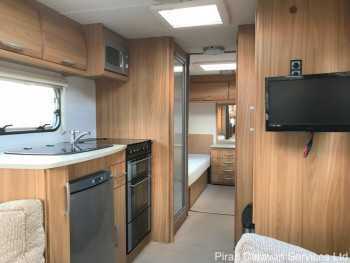 Beautiful high spec single axle 4 berth with desirable fixed ‘island’ bed. One owner, stored undercover. Comes with full awning and many extras. Valeted, serviced and damp-checked. Ready to go! 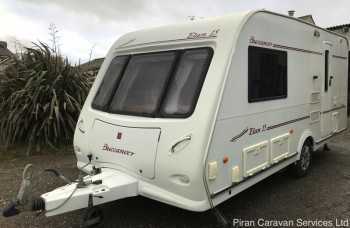 Fantastic starter 4 berth caravan with a fixed bed. Lightweight and can be towed by most medium sized cars. Just been valeted, serviced and damp checked and comes with extras including motor mover. Beautiful 2016 Rimini model with desirable and spacious twin fixed bed and large rear washroom layout, on a single axle. Fully serviced, damp checked and ready to go. Comes with Truma motor mover.